One of the supplier, contract manufacturer, and multi-level-marketer, Isha Agro Developers has gained a great name in herbal and Ayurvedic product manufacturing. Gokshura (Gokhru) is commonly called as Tribulus terrestris and has beneficial attributes, owing to its high medicinal properties. The formulation of pure powder of Gokshur stem and pure Gokshur stem extract is synergistically prepared in highly advanced processing and manufacturing domain at Herbal Hills, the most trusted name in herbal supplements. 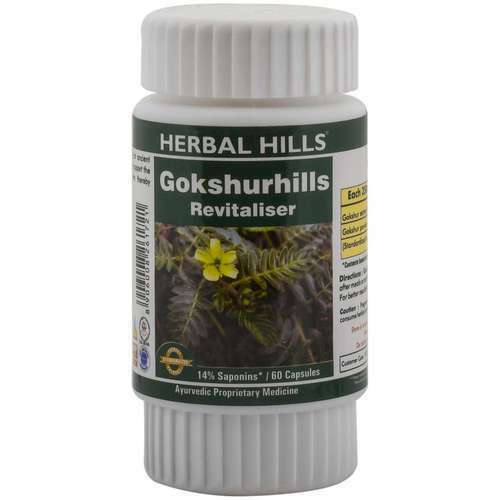 The formulation has been utilised in the formation of herbal capsules called Gokshurahills. These capsules are made using supreme-quality herbs in a traditional way and are free from hazardous chemicals and other toxic components to maintain purity and efficacy. This natural capsule formulation may promote renal health.